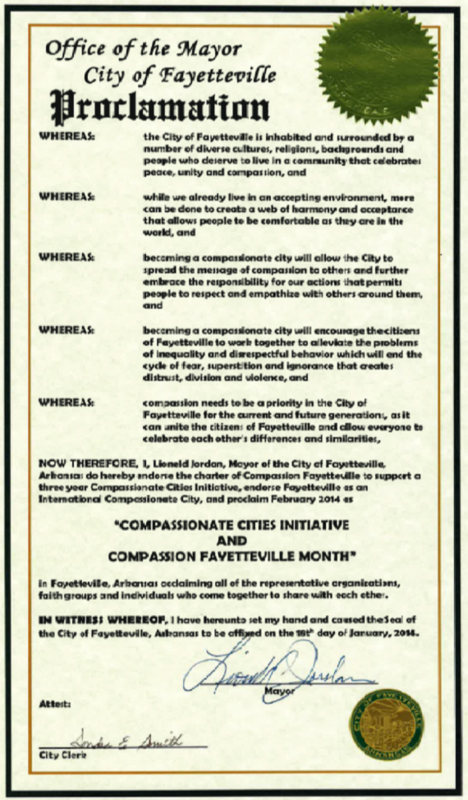 Compassion Fayetteville (Arkansas) is an initiative developed from the Fayetteville Forward Economic Accountability Council’s (FFEAC) Inclusion Group. Compassion Fayetteville is a cooperative effort and everyone is welcome to join. Description: Compassion Fayetteville is an initiative developed from the Fayetteville Forward Economic Accountability Council’s (FFEAC) Inclusion Group. 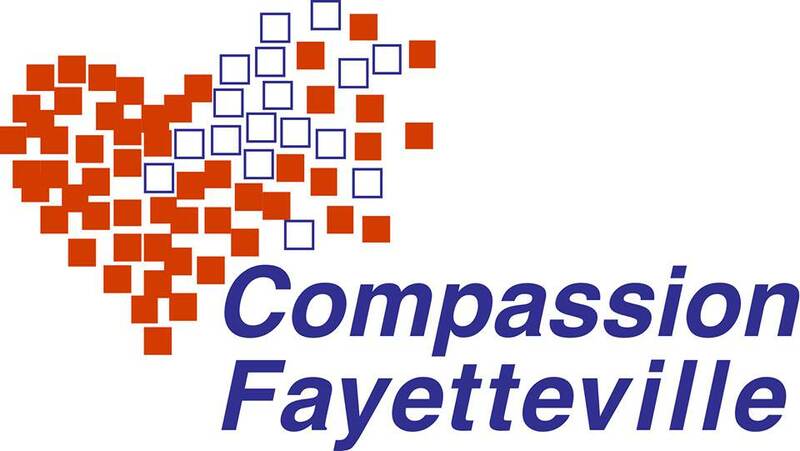 We are a cooperative effort by a group of citizens who volunteer their time to increase awareness, encourage and promote a culture of compassion through identifying, supporting and initiating new compassionate actions in Fayetteville. 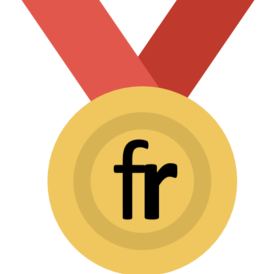 We are one of 62 cities around the world to earn designation as a Compassionate City by the International Campaign for Compassionate Communities, a worldwide network founded and inspired by the Charter for Compassion, a document that transcends religious, ideological, and cultural differences. All individuals, groups and organizations are welcome to participate.